Activists from the 99 Percent Movement took to the streets across America to mark May Day on Tuesday, but their campaign against Wall Street is just beginning. In the month of May, activist groups and religious leaders will again turn their focus to urging customers to move their money from Wall Street banks. 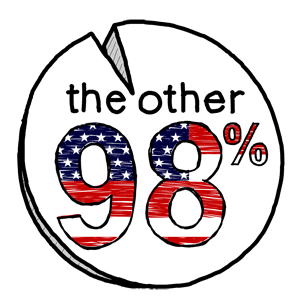 “ The 99 percent are making their voices heard by moving their money out of the big banks that wrecked the economy and are doing nothing to fix it . This spring, there will be more people attending bank shareholders meetings than at any point in history and we will see more people severing their relationships with the big banks in favor of smaller institutions that are responsive to community concerns,” said Ilana Berger, Co-Director of The New Bottom Line. The 99 Percent Movement has successfully targeted Wall Street banks with “Move Your Money” campaigns since last fall, when hundreds of thousands of people switched from large banks to credit unions in October and 40,000 more joined on a single day — known as “Bank Transfer Day” — in early November. Churches and faith leaders joined the cause , targeting banks for dodging taxes and unfair mortgage practices. Churches moved $55 million from Wall Street before Thanksgiving, and San Francisco faith leaders moved another $10 million from Wells Fargo in February. Such campaigns are expected to have profound impacts on Wall Street’s bottom lines. A Wall Street consulting firm reported in November that the nation’s 10 largest banks could lose as much as $185 billion in deposits over the next year thanks to customer defections, and Bank of America — the activists’ next target — is the most vulnerable among them. According to the report, it could lose 10 percent of its customers and $42 billion by the end of 2012.